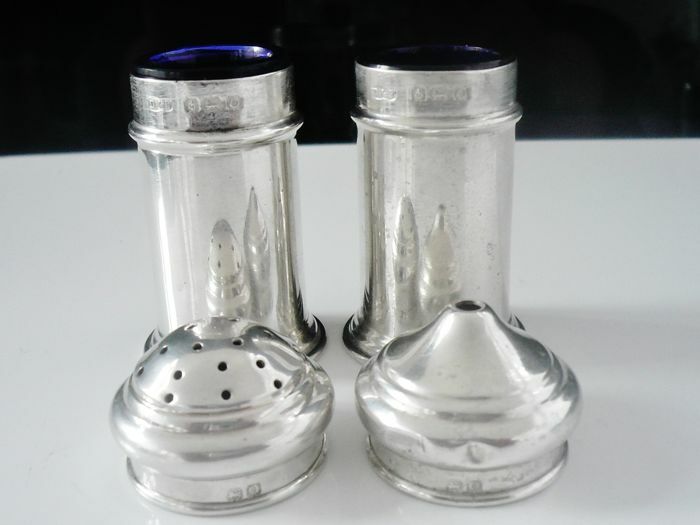 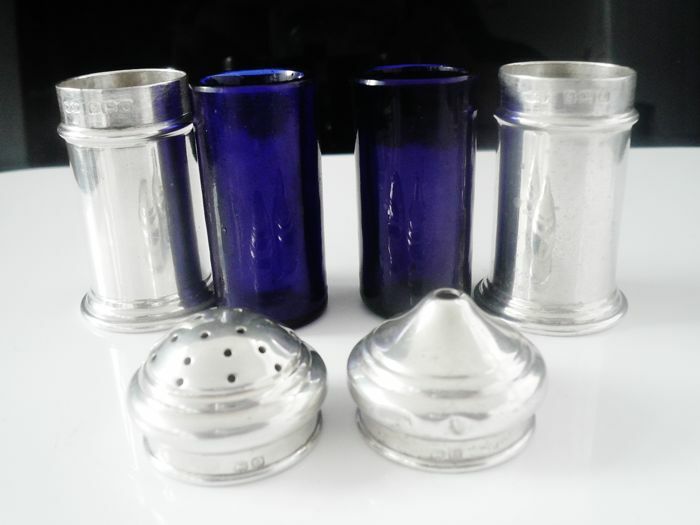 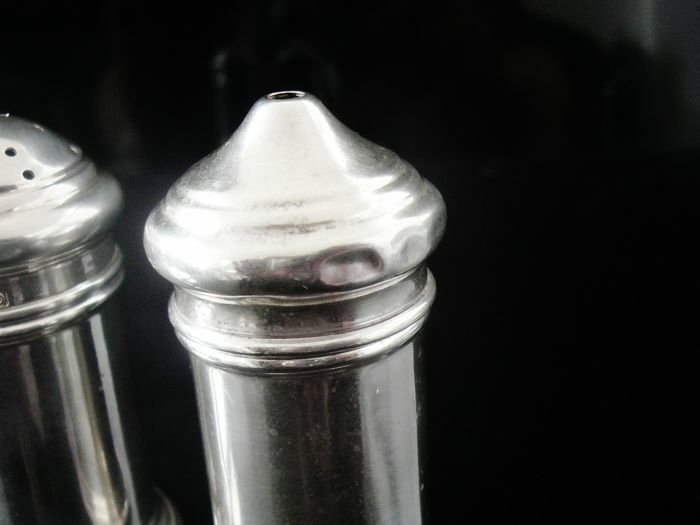 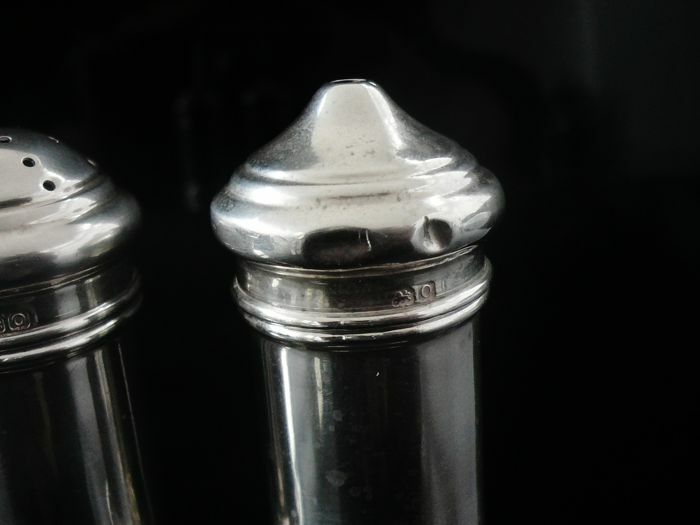 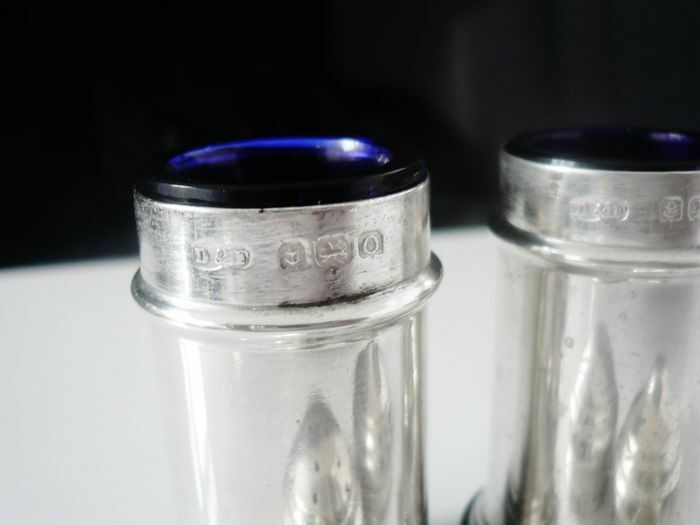 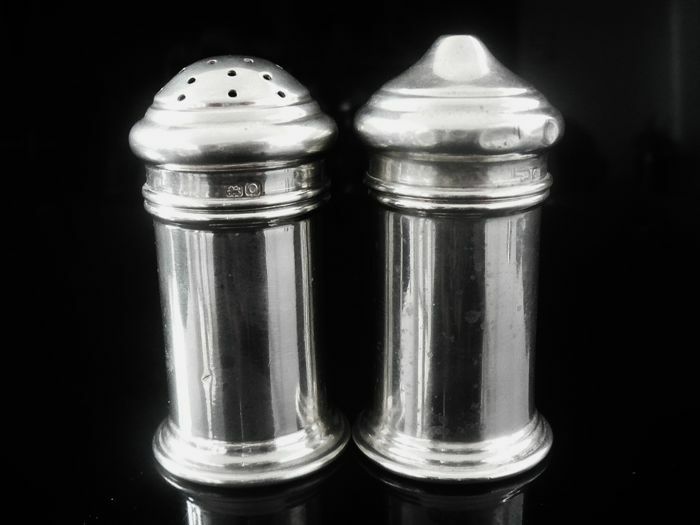 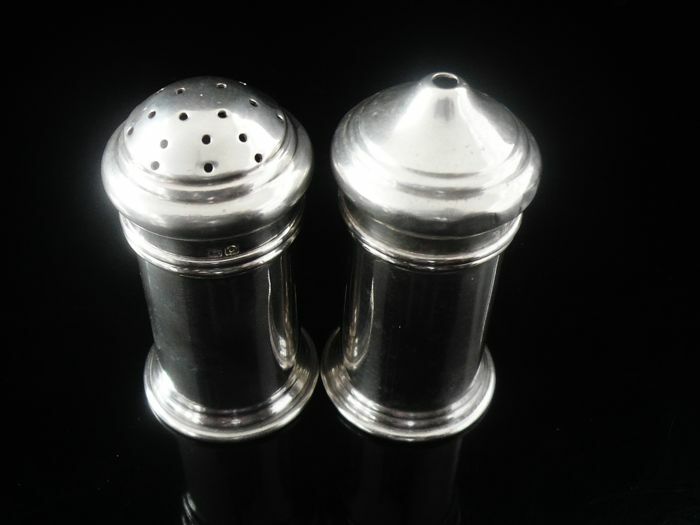 English sterling silver salt and pepper pots by Deakin & Francis Ltd, hallmarked from Birmingham in 1913. 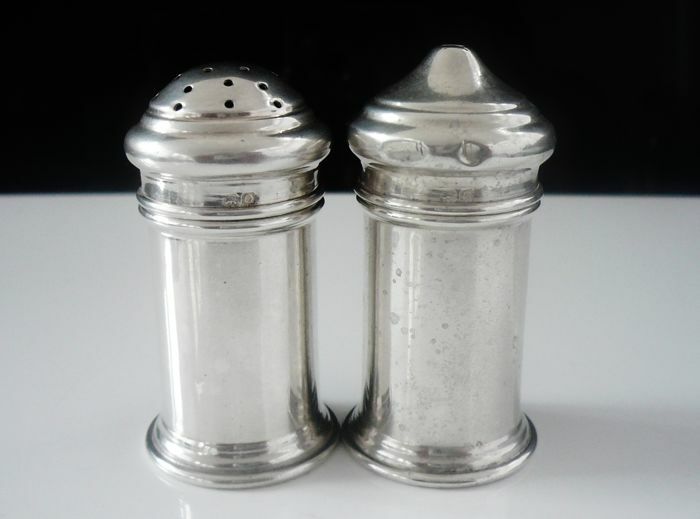 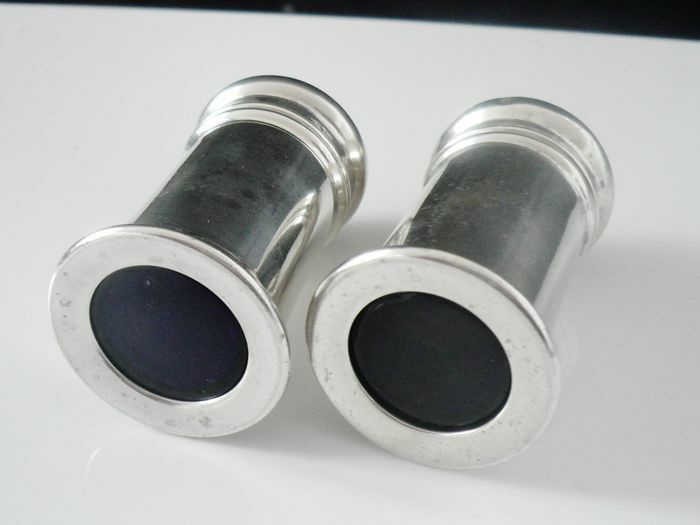 The pepper pot is in very good order, the salt pot has 4 or 5 dinks to the lids outer edge and has some dark spots which will require a more indepth clean/polish. 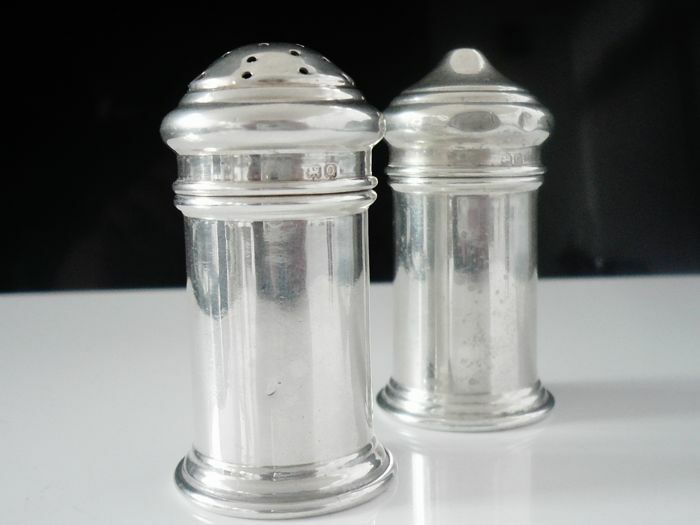 Pepper pot 55mm tall, salt 60mm tall.